911uk.com - Porsche Forum : View topic - Porsche Classic Project Gold - the return of the 993? 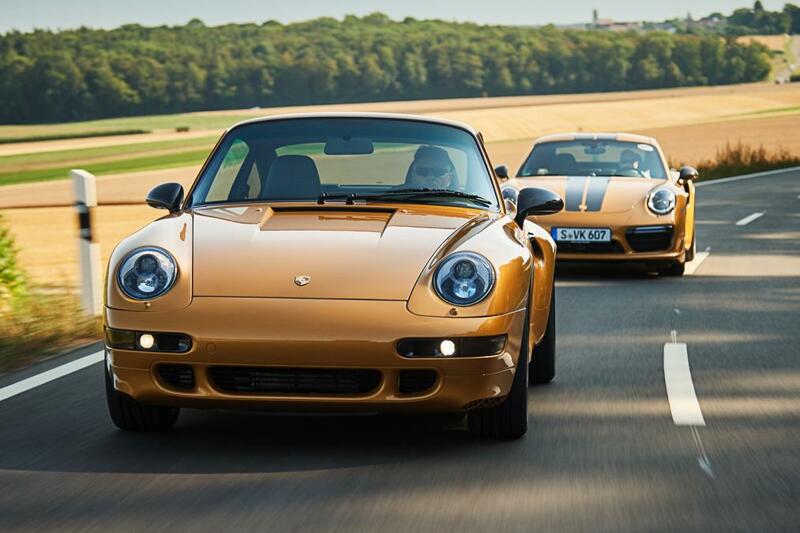 911uk.com Forum Index > 993 (1993 - 1998) > Porsche Classic Project Gold - the return of the 993? Posted: Tue Jul 24, 2018 7:35 pm Post subject: Porsche Classic Project Gold - the return of the 993? ^ looks like a 993 Turbo S body, judging from the side sills and X79 intakes. New video expected every week, until the "vehicle will be presented to the public live" on Sept 27th. 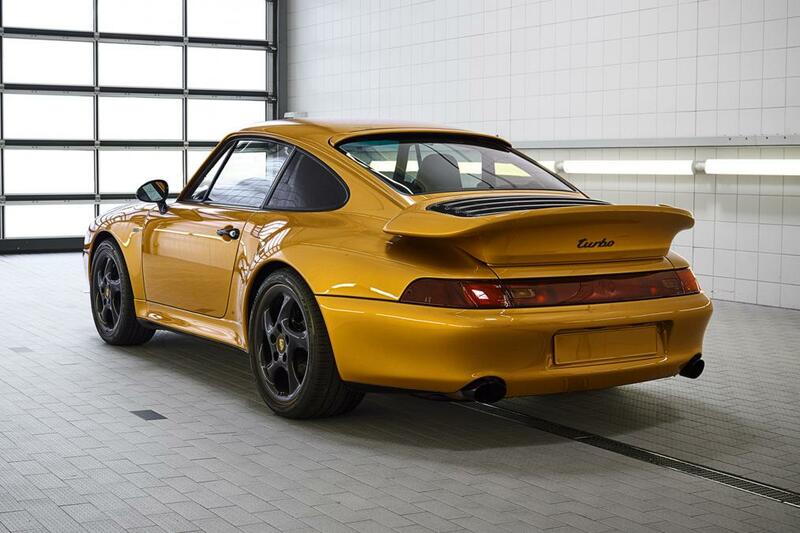 Likely this is much the same as JLR is doing at the 'Heritage' division: buy old 993's for $$, convert to "Project Gold" for $$, sell for $$+$$+$$$$$$$$ margin due to 'demand' = profit. I prefer what Ruf did, its a muhc more elgant solution while keeping the same spirit of the 993. Does anyone else think that this has more than a smattering of the Exclusive Series 991.2 Turbo S’s about it? Also do we think that this is Porsche making a brand new Turbo S or simply restoring something and revamping whilst in the process? I think it is marvellous that they have chosen a turbo for this project. Completely biased as I am, it is the model that makes sense for this project. They will make a drop dead gorgeous (albeit mildly blingy) custom-car which has the fire power to back up those looks. I'd be very surprised if this does not at least get the X50 pack of the S or even the 450hp option. It is however destined for the US, which I think might rule out the lower stance of the S suspension. But that is just a guess! Ummmm, I don't like it. Looks like something wrapped for that guy in Eastbourne on PH. Not keen either to be honest. I'm afraid to say the colour scheme doesn't appeal to me. Gulzar, the bloke who had all his cars finished in black and gold. Taking one and a half years to conceptualise and build by specialists at Porsche Classic’s restoration workshop in Stuttgart, Project Gold is now officially the final air-cooled 911 Turbo to be produced, and marks 20 years since the end of full production of air cooled 911s. 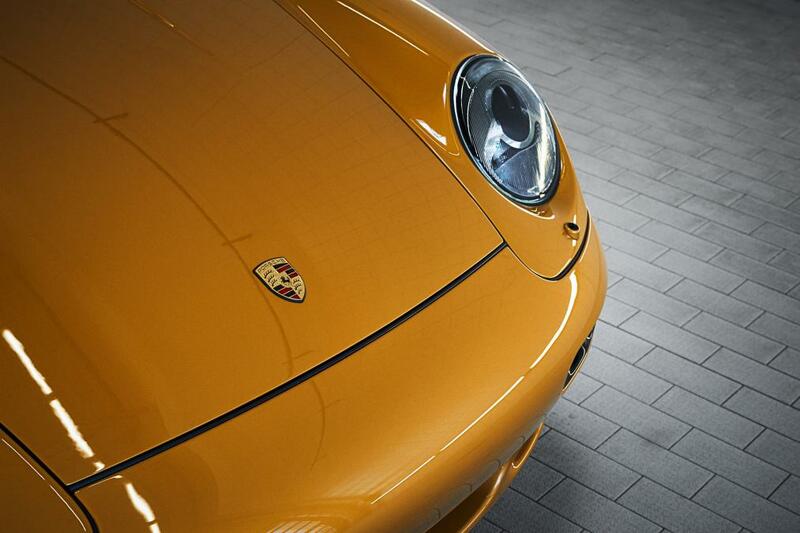 Compared to the original 993 911, few design changes have been made. 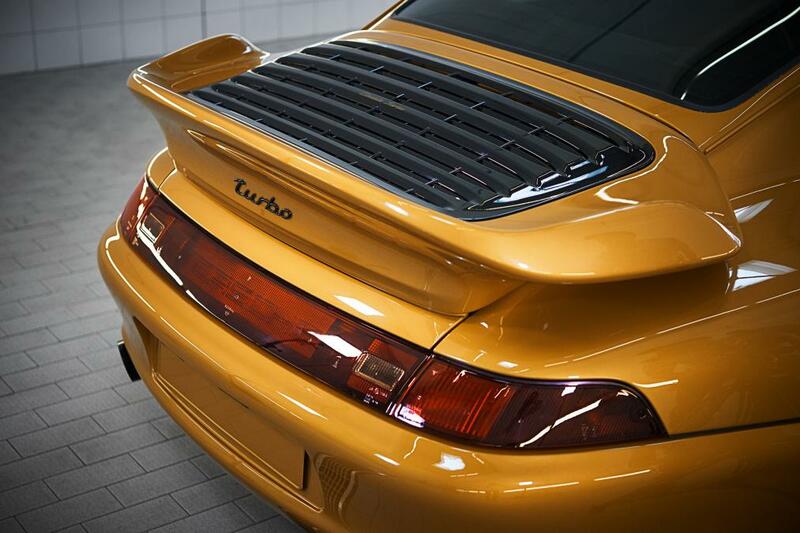 It’s an original 993 Turbo bodyshell featuring the side air intakes equipped on the more potent Turbo S model, made available as an option on the regular 993 Turbo in its final year on sale. 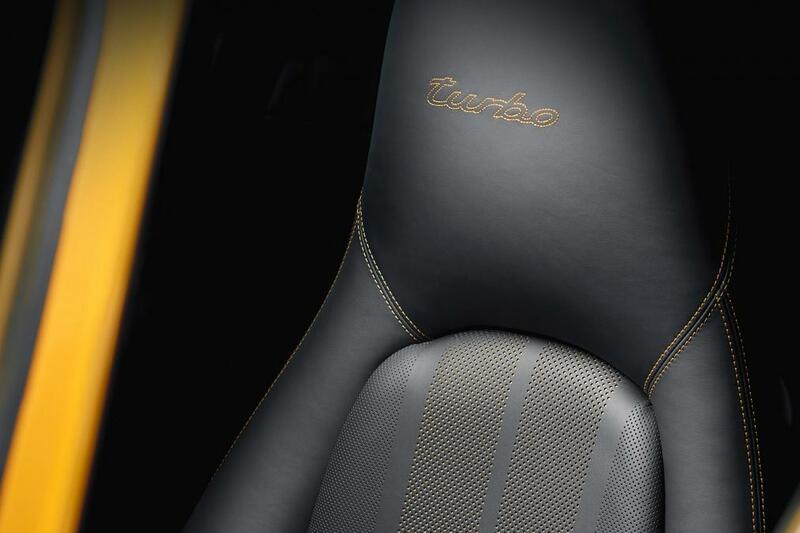 The body is finished in a vibrant Golden Yellow Metallic shade, which references the 599bhp 911 Turbo S Exclusive Series – revealed last year as the most powerful 911 Turbo ever made. 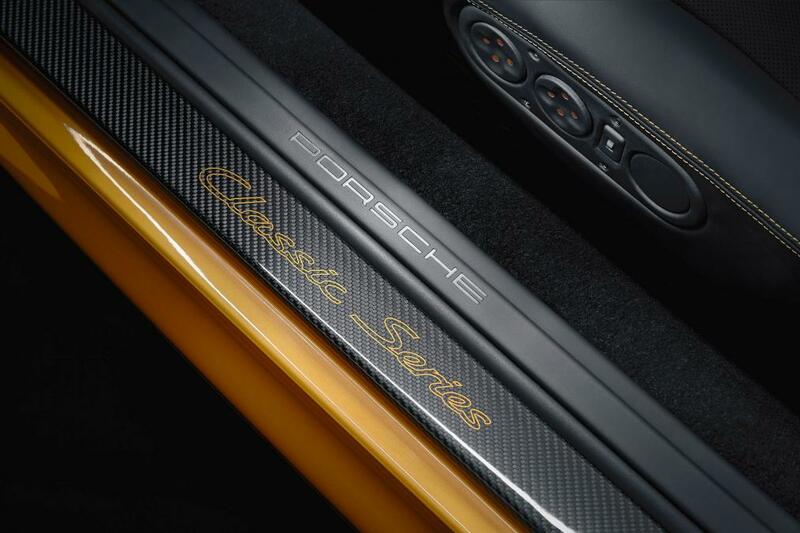 Project Gold’s paint finish has been applied using the same techniques used on today’s Porsches, while it gets modern day corrosion protection too. 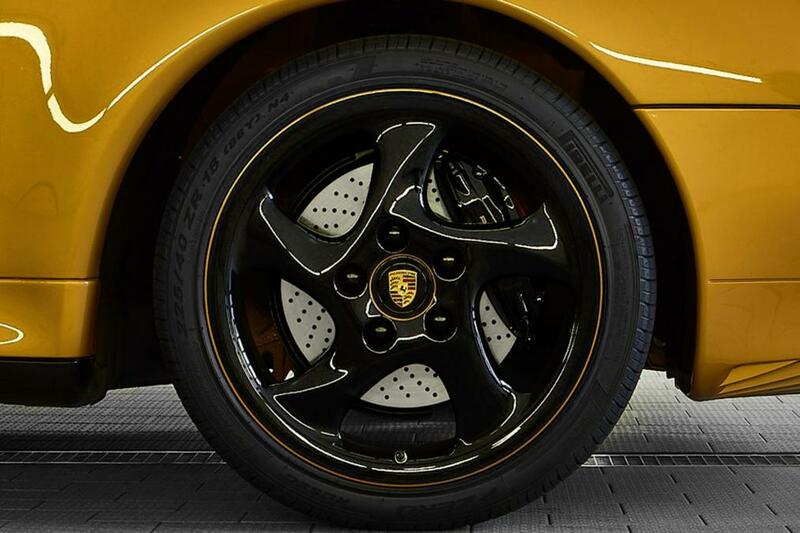 It rides on iconic 993-era 911 ‘hollow twist’ wheels, painted gloss black and featuring golden yellow details and rim edges. The interior follows the exterior theme, being period in design and layout but unique in finish. 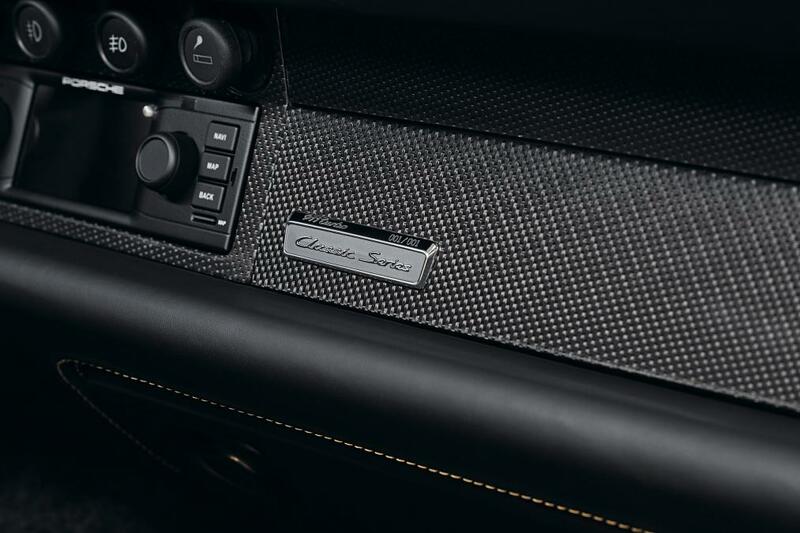 Golden weave carbon-fibre panels are found on the lower section of the dashboard and doors, and the black leather upholstery contrasts with golden stitching on the seats, dashboard and steering wheel. 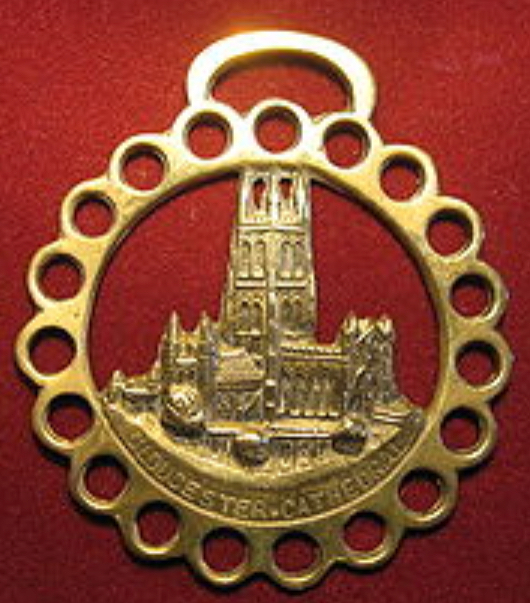 The instruments have been given a unique Project Gold twist too. 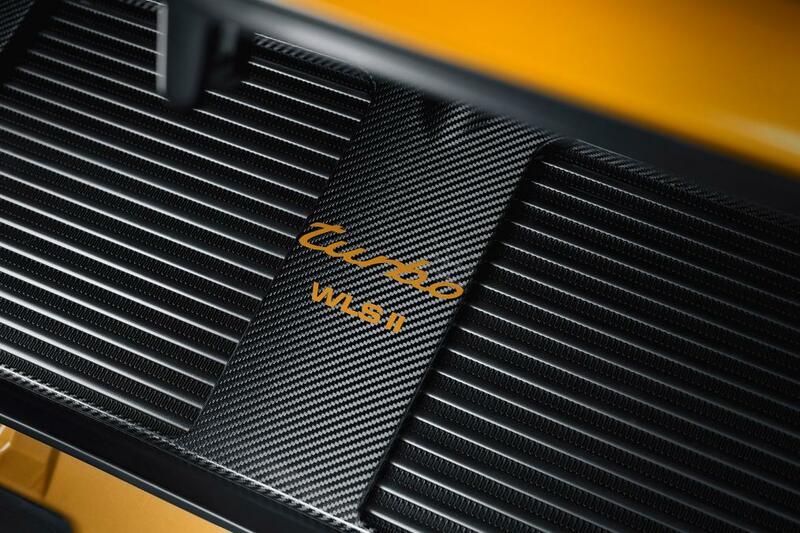 Powering Project Gold is a brand new 3.6-litre twin-turbo flat-six, the same in design as the original engine and developing 444bhp, matching the power output of the 993 Turbo S. Parts used to make the manual transmission and all-wheel-drive system have been sourced brand new from Porsche Classic’s catalogue of official parts. Project Gold will make its full public debut at the Porsche Rennsport Reunion at the Laguna Seca circuit in California on 27 September, and will then be auctioned off to a private buyer in October. 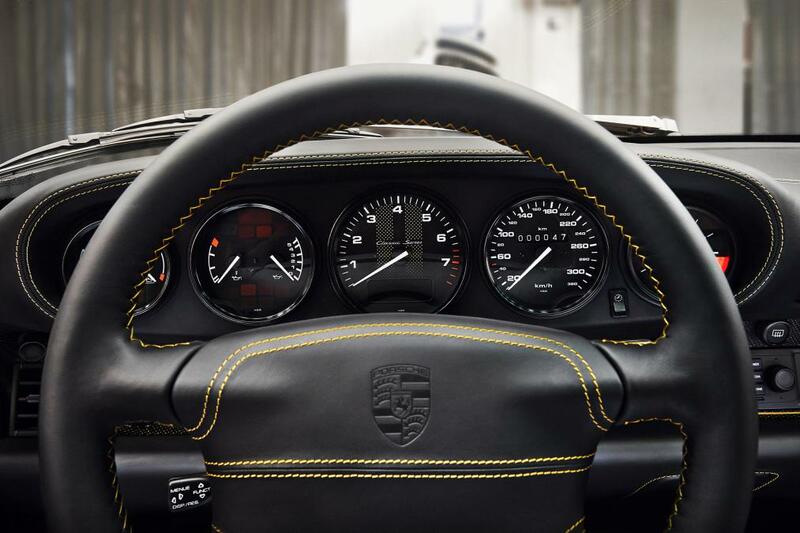 However, whoever takes possession of Project Gold won’t be able to take it for a spin on the road – this Porsche Classic creation is limited to private track use only. I think it's lovely but it's a bit of a shame it's not road legal. It'll just sit somewhere in a collection, gathering polish, "too valuable" to track or race after the launch. If they can make an Ferrari FXXK and an Aston Martin Vulcan, I don't think the owner would have much trouble making this road legal. I hope not, otherwise I've bought tickets for the wrong month. Rennsport Reunion is September 27th-30th.